Sep 3 Stop Telling Me Your Manicurist is Vietnamese-So is Mine! My hope in writing about this topic is to raise awareness and broaden our understanding (including my own) of the affected communities and not meant as an indictment or any kind. What are some examples of racial microaggressions and why I want my white brothers and sisters to know about them? In this series, I'd like to explore this topic and what makes these seemingly innocent gestures or words so damaging to people or color. I will further explore microaggressions in many other communities whose members encountered them every day such as in the LGBTQ or religious minority groups as these are not isolated to only ethnic minority groups like the Vietnamese. Stop Telling Me Your Manicurist is Vietnamese-So is Mine! Please, for the love of God, and my fellow Vietnamese American collective mental health, self-esteem and respect, stop saying both of these things! According to the Racial Microaggressions in Everyday Life, Implications for Clinical Practice, a study published in the May-June 2007 of American Psychologist, these brief, daily statements that people of color like me experienced from members of the dominant culture, as in White, are called Microaggressions in general, or Microinsult and Microinvalidation in my examples. There are many themes of microaggressions (racial, gender, and marginalized groups) but the dynamics and impacts on the recipients are the same. As stated earlier, they are often brief verbal or nonverbal communications which frequently occur in our daily lives; whether intentionally or not, they can have a long-lasting and long-term impact on our psyche, as a result of these demeaning, hostile and derogatory messages. Microaggressions are subtle, unlike Microassaults which are the old-fashioned racism and can be intentional and are easier to spot. This is one type of microaggressions. In my case, when a new colleague told me that her manicurist was Vietnamese, it communicated “rudeness and insensitivity and demeaned [my] racial heritage and identity.” Again, citing the same study, these “microinsults represent subtle snubs, frequently unknown to the perpetrator, but convey a hidden insulting message to the recipient of color.” As a result, it’s often difficult for me as a person of color (POC) to put the finger on the reasons I felt attacked and disrespected. I walked away from this experience feeling wronged by this slight snub, to which I only quipped, “so is my manicurist.” I felt offended because it was often one of the stereotypes that perpetuated Vietnamese in low skilled service jobs and their cultural and communication styles, most notably made fun of by the YouTube comedian, Anjelah Johnson who demeaned them for their broken English and service antics. In this example, no matter how long I’ve lived here, forty-three years to date, yet I was still made to feel like a perpetual foreigner and didn’t belong or being treated as though I was a second-class citizen. I knew darn well that if I had confronted this colleague about her statement, it would not have gone over well because people in the dominant culture often felt morally just, and that they were not capable of being prejudiced. She would be indignant if I suggested that what she said was an example of a microinsult. 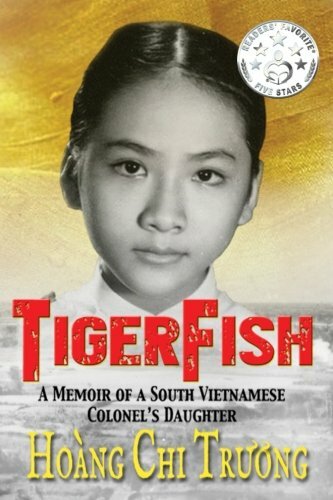 I was tempted to tell her that there were many highly skilled Vietnamese professionals including high ranking members serving in the U.S. Military such as Brigadier General Viet Luong. But I decided against it because I’ve learned since I came to America that it would be the best course of action to let it go and pander to the dominant culture. Before I learned about microaggressions, people often told me to forget about it, that I should just let it go because it’s not worth making a big deal out of something subtle and possibly unintentional. Hence, I said nothing to my colleague. I have even been repeatedly advised to let things go from my Western-educated Vietnamese relative. She said that I paid too much attention to these minor things, especially when the offenders didn’t do it on purpose. After all, we needed to uphold our acquiescent and compliant “model minority” reputation and weren’t Asians believed to be least likely to be discriminated against compared to Blacks and Latino persons? We should be grateful! As a Vietnamese American, I’ve experienced many instances of microaggressions including invisibility. For example, I held the doors numerous times for someone because it was a courteous thing to do, and they just walked past without acknowledging me, probably thinking that I was a server! Or running into me and said nothing to excuse themselves as though I wasn’t a person that would feel pain. Occasionally, I’m in upscale women’s clothing stores, the sales staff would sometimes look right through me and helped someone else instead, a White person, who they deemed prosperous enough to purchase their goods, or someone worthy of their services. Or being stared in certain situations or settings as though I didn’t belong there. One of the most commonly occurring and baffling experiences for me includes people insisting and arguing that I am not Vietnamese because I “look” Chinese. When I reiterate that I am Vietnamese, they would say, and I kid you not, “Whatever, Chinese, Vietnamese, you are all the same!” which illustrates the dominant culture invalidating our interethnic differences and disrespecting our experiential reality. Most often, people would also approach to ask me where something is in the store or to translate something in Chinese on the package for them. Um, I’m Vietnamese! Please don’t make these assumptions. According to Linguistic Society 2,197 languages spoken in forty-eight countries in Asia. Asians are not monolithic! I’m sure you have heard this declaration before, “Asians are smart in math and science and they are the most successful, hardworking and nicest people you know.” Again, Asians are not monolithic, and the “Model Minority” ascription is a myth, an assumption, designed to assign intelligence to a particular race. This is also an example of invalidation of interethnic differences, not observing that there are unique ethnic groups of Asians and not all are rich and successful. On the contrary, Southeast Asians and Pacific Islanders have a significantly lower rate of college graduation than Chinese and Indians. Dr. Banh’s study attempts to fill in some of the literature gaps on what are the bridges and barrier for this SE Asian American group educationally so they too can be successful academically. Exoticizing as a form of Microaggression. If I had a dollar for every time someone told me that “you Asians don’t age” or “you Asians have such smooth skin,” I’d be retiring rich right now. These are examples of Exoticizing as a form of microaggression, confining us to a stereotype of unrealistic beauty standards and expectation as sexual objects and fantasies. Please, don’t say these things to us. They are not compliments. Identifying microaggressions (POC) experiential reality. Whenever I felt wronged and slighted in an interaction with a person from the dominant culture, I knew my feelings were warranted, and not a result of some vague and baseless observations. However, I often didn’t have the words for these offenses or a deeper understanding of the implicit racial bias or insensitivity. I would second-guess myself as being paranoid or overly sensitive because their actions were not overtly screaming racial insensitivity or derogatory. Imagine how liberated I felt to learn the different themes, their examples, and messages of microaggressions. Most importantly, I discovered that I wasn’t alone in this experience nor did I imagine them. I finally felt understood, validated of my experiential reality as a POC. You see, they are called micro because, well, they are imperceptibly so, again, they are not explicit and obvious or even intentional. But we all must do our part to identify and have names for these offenses to help the POC and the dominant culture to understand how they contribute to racial tensions and conflicts in America that seem to be on the rise with no end in sight. Long-term effects of daily microaggressions on people of color. If these offenses were only a one-off, we, the recipients could overlook them, but when encountered daily and continuously, they have an accumulated and long-lasting psychological impact that diminishes our dignity, self-worth, and self-esteem. What's more demoralizing for POC is to be questioned and denied of our American experience, especially for those who were born in America or multigenerational Asian Americans and still regarded as foreigners. I’m still kicking myself today for an unpleasant experience that happened in the summer of 1980; I felt incredibly proud and grown up to land an internship at PG&E where I worked with professionals in a historic, 11-story, Renaissance architecture high-rise in downtown Fresno. I felt fortunate to have a friendly and helpful neighbor who trained me in her cubicle until I saw her handwritten list of “Funny Names” on the wall that had my parents’ scrawling on it. I felt shocked and angry but didn’t have the nerves to tell her how disheartening that she used my parents' names for her comedic relief. I was a young and lowly intern and didn't dare stand up to a person in power in the dominant culture. In retrospect, I could have casually mentioned to her that those were my parents' names, but I didn’t do it, and I am forever regretful for my inaction. I am Vietnamese American who respect how my fellow Vietnamese toil daily for their livelihood, be it being a manicurist or a brigadier general. 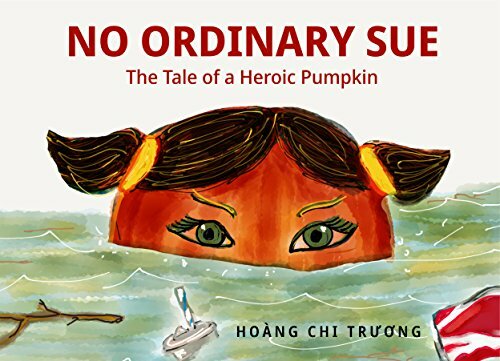 I’m striving to break down the cultural barriers and harmful effects of the perpetual dominant culture stereotypes of Vietnamese, tropes, and languages that continue to harm our cultural image and identity. The next time you meet a Vietnamese American, please, for the love of God, don’t tell them that your manicurist is Vietnamese. So are ours! Aug 17 Memoirs are For Famous People. Who are you to write one? Aug 17 Stop Cutting People Out of Your Life - Don't Resolve Conflicts By Avoidance!